I know what you’re thinking and the answer is yes. I CAN relate every recipe to a late 20th century rap/hip-hop classic (and I use the term classic with much self-satisfied head-nodding). Because, my friends, when I dip, you dip, WE dip. Part of me feels bad for sharing this recipe. But not because I think there should be secrets when it comes to recipes. In my book, all recipes should be shared; it’s like sowing the seeds of flavor, love and happiness all over the blogosphere. I feel a bit bad for sharing this recipe because it’s not mine. It’s from a favorite restaurant we frequented in our college town (and full disclosure, where I get to eat about twice a month because I work for said college). 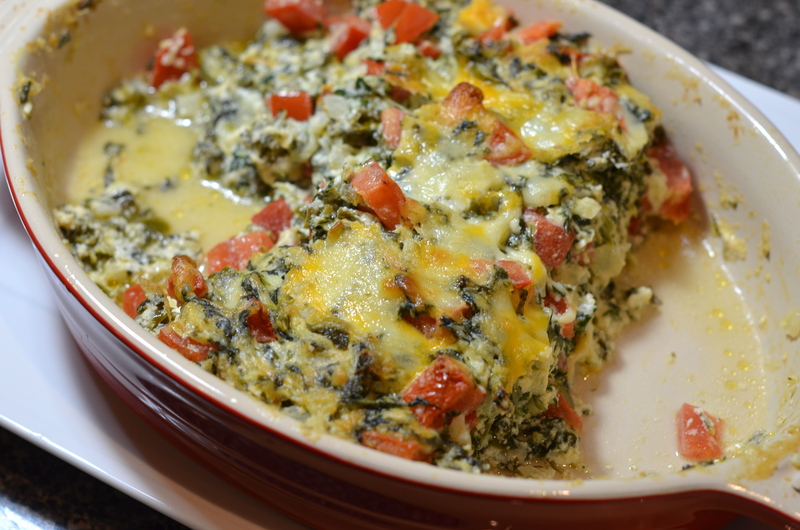 The caveat here is that I found the recipe by googling “Village Tavern Spinach Dip” and found a Birmingham newspaper article featuring the recipe. So I consider this to be public record. Except you don’t have to go searching high and low for it, typing words into search fields when you should be working. I will give it to you. 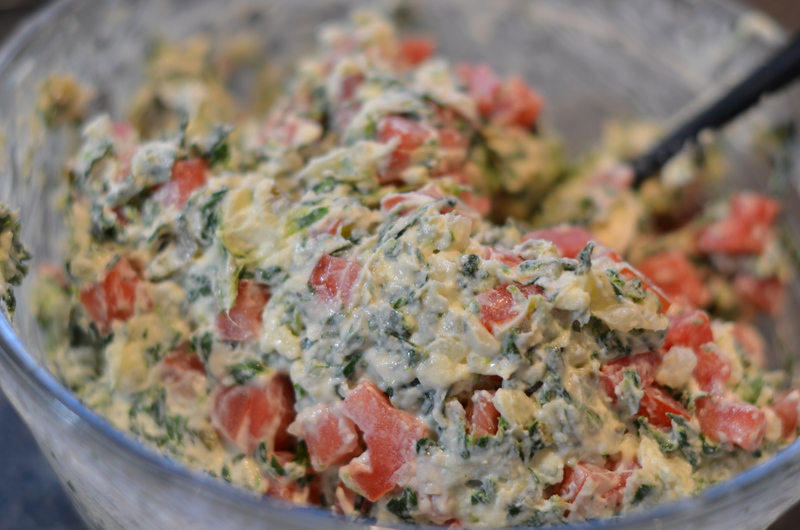 It’s hard to verbalize the deliciousness of this dip. But I will try. It’s dangerously good. It’s so good it will make your dog cry. It’s so good your thigh fat will tingle in anticipation of its receipt. Do you get where I’m going here? 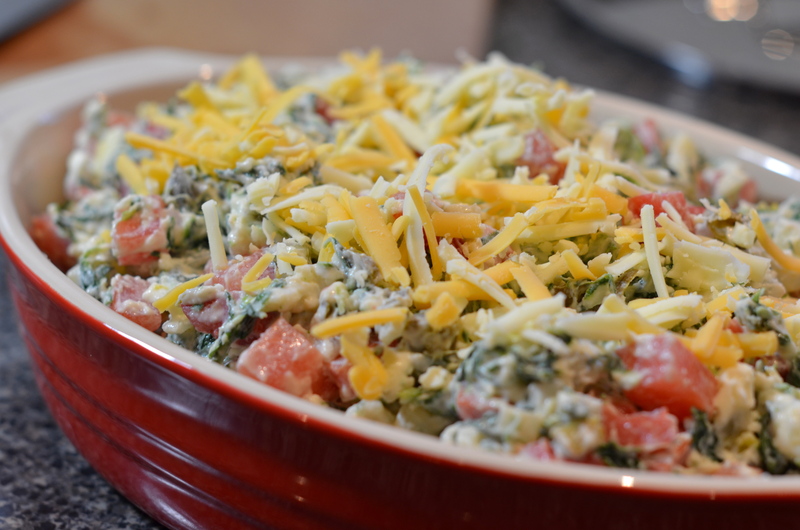 We make this dip once a year and the “big game” seemed like the appropriate time to dust it off. It’s hot and creamy and spicy and served with warm flour tortillas poised for rolling tiny-dip-taco-pockets (Taco Pockets sounds like the runner-up in a battle of the bands against the Disco Biscuits). It’s easy – too easy – and it’s waiting for you below. This recipe requires about 2 hours in between phases one and two to chill in your fridge. Just a heads up so you can prepare appropriately. 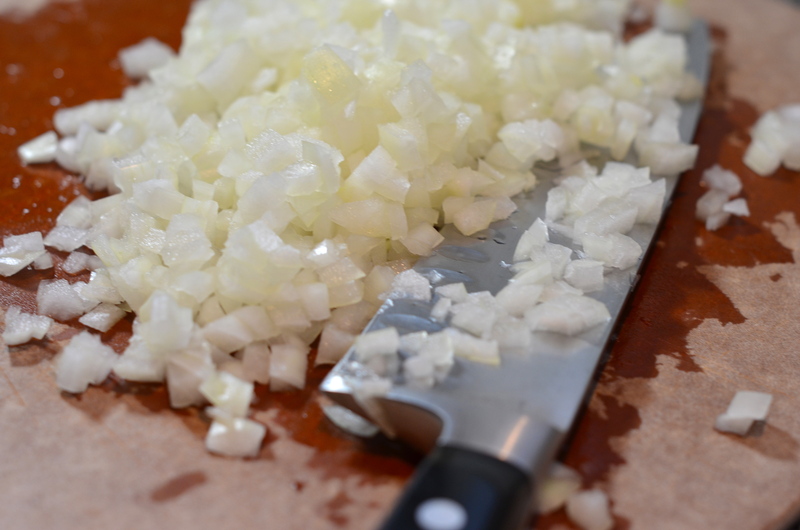 To start, dice one large onion and heat about a tablespoon of olive oil in a sauce pan over medium heat. 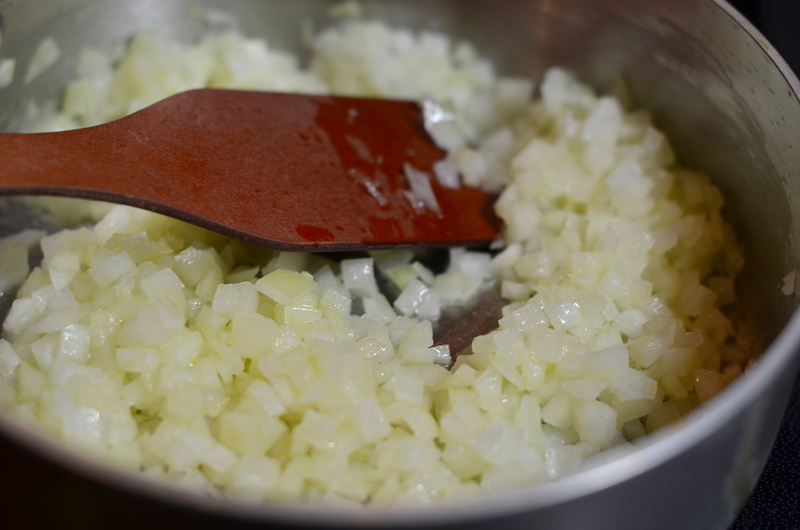 Add to your olive oil and saute the onions for 5-10 minutes along with the cumin and salt until they begin to soften but not brown. Meanwhile, you’ll want to make sure your cream cheese, half and half and Monterey jack cheese are all ready to go. For us, that meant calling in number two to perform some grating. I dreamed about that cheesy waterfall last night. 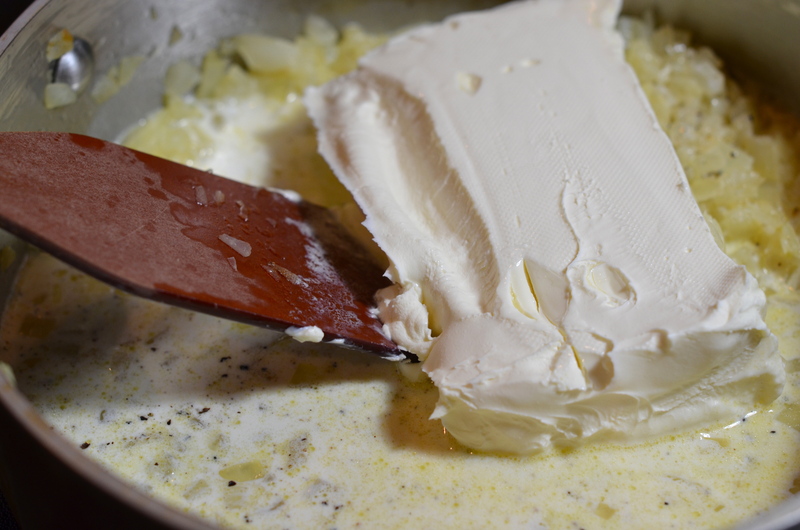 Once your onions are translucent, add the pepper, half and half and the cream cheese to the mixture and stir until combined. 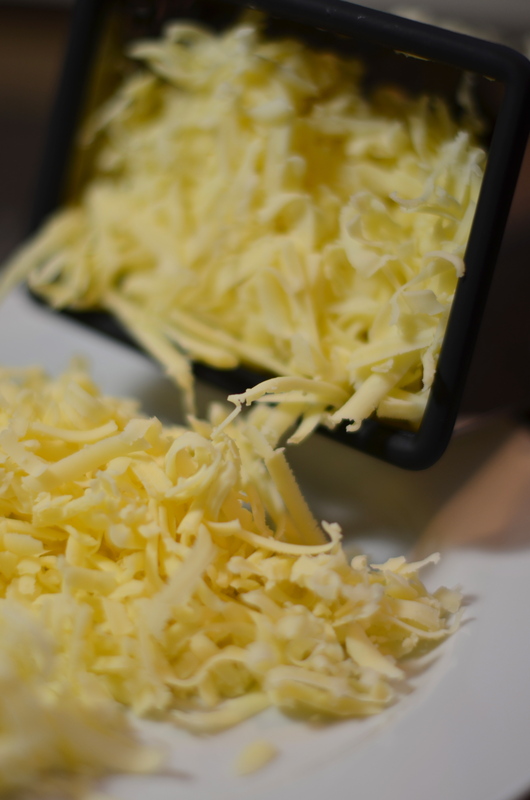 When that is combined, fold in the shredded cheese until everything is smooth and glorious. As my dogs Guy would say, Let’s Chill. Pop this in the ole frigo for an hour or two until things have cooled off. While that’s happening, you can prep phase two of the dip. Before I forget to tell you, preheat your oven to 350°F. 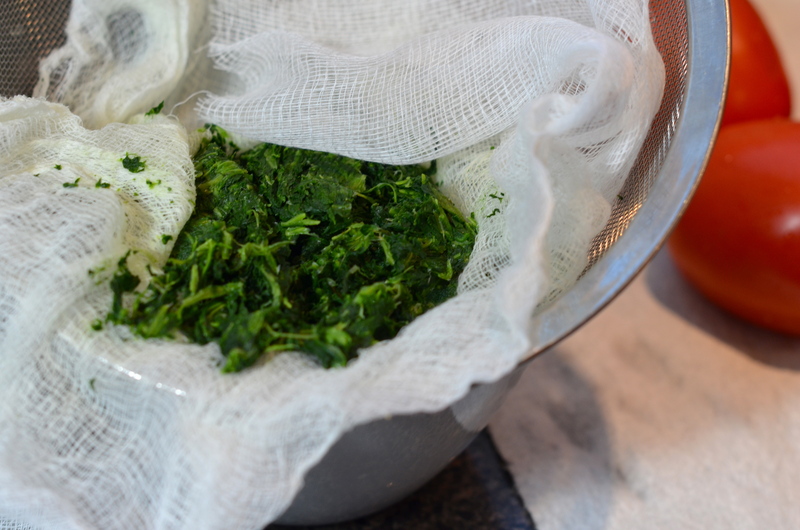 Squeeze your thawed spinach in a clean towel or some cheesecloth so the excess liquid ends up in the sink instead of the dip. Also dice your tomatoes and open the can of jalepenos and drain the excess liquid. The original recipe calls for 1/2 a can of jalepenos – we used about 3/4 of the can and it had a bit of heat. If you want an even spicier dip, use the whole 4 ounce can (1/4 cup). 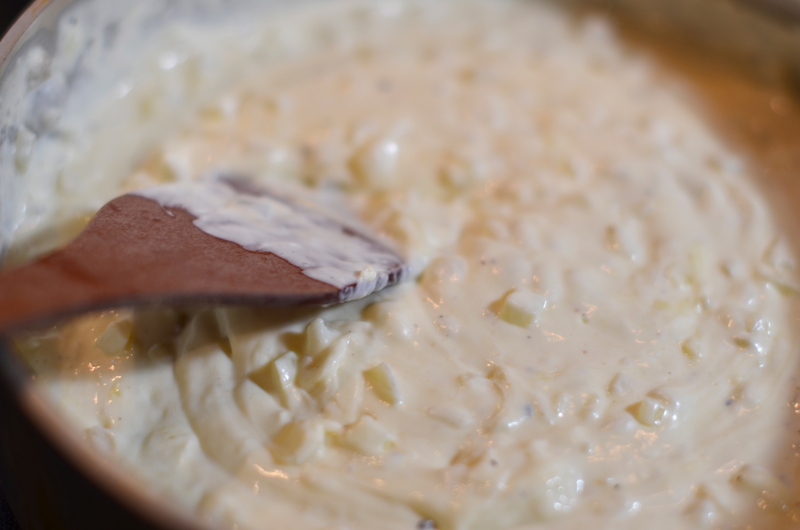 Retrieve your cheese mixture from the refrigerator and empty into a bowl suitable for mixing (say, a mixing bowl). Add the spinach and jalepenos and combine thoroughly. Then fold in the tomatoes so they don’t end up getting beaten to death. 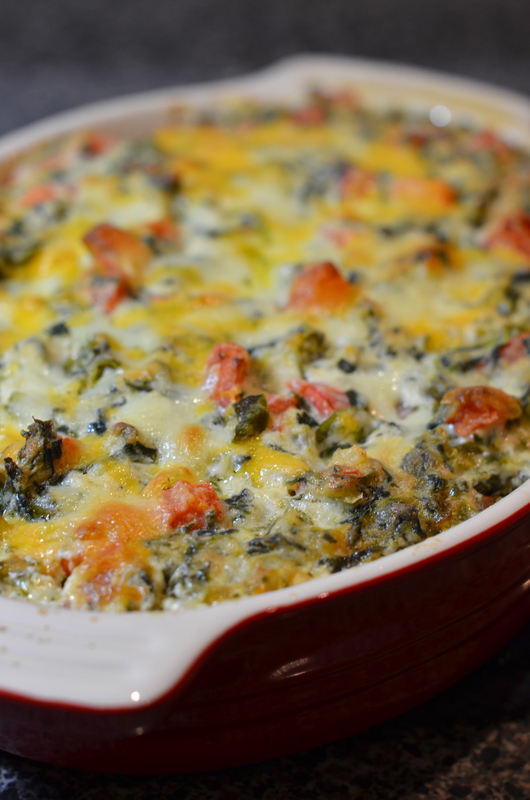 Find a shallow baking dish (like this Le Creuset I found at Home Goods for $14.99! So exciting!) and transfer your dip. Top with another 1/2 cup shredded cheddar and Monterey jack and bake in the oven for 30-45 minutes until everything is bubbly. You can serve this with tortilla chips, but we like to present it as our friends at the Village Tavern do – with warm flour tortillas. You can also just spoon it into your mouth if you’d like. I won’t judge. I know, I know. I wanted to post it at halftime but even that wouldn’t have worked. I will work harder to anticipate every occasion and preempt it at home so that you, my faithful follower, can benefit. It’s the least I can do. This really is simple. No lies. But you can’t eat it, can you!? You’re so good about making things even though you can’t enjoy them! YUMMY! Can’t wait to try this one out soon. May be the only way I can get my hubby to eat spinach. Do you have a suggestion for tortillas? Do you make your own? Oh hell no – I buy tortillas – whatever looks cheap in the bread aisle of Publix. I would love to make them though at some point but that requires more equipment and our kitchen is steadily shrinking as it is. I think I will be making this on the upcoming Davis family ski trip. I will no longer think of this as tavern tip but will always remember when you surprised tier 1 with the magical discovery of this recipe. Not to mention Mr. Bennitt was growing in my belly at the time so everything tasted better! Will you be making it there or packing it in your suitcase? Nope, can’t eat it, but currently working with a group to feed homeless families (it’s focus is on kids who have been made homeless and their parents – and keeping them together). The food is very standard (because there are a few things that are always easy to make), so they tend to eat a lot of fast food fried chicken, lasagna, and macaroni and cheese. You’re so good – what a wonderful thing to do! I hope they like it!